Sociable Gemini, Say Yes To Yellow! Lucky Color? Say Yes To Yellow! The best colour for Gemini is yellow. An auspicious and lucky colour for the sign of the Twins, it’s the colour of communication, the mind and intellect. According to Colour Psychology, this shade can stimulate our mental faculties, create mental agility and enhance our perceptions. The right shade of yellow will help to lift our spirits (just like those youthful, mercurial birds Gemini) and can be positively fun, cheerful and stimulating. The color yellow is the color of hope and happiness. Sunny, energetic and enthusiastic, it is an optimistic and social colour. As the hue that best inspires our grey matter, yellow can assist us in making decisions and provide clarity of thought. It can help us with original ideas and is creative in finding new ways of doing things. It is inquisitive – just like the Gemini nature. The zodiac sign Gemini rules over our early education – anything up until higher learning and university, which falls under Sagittarius. The colour yellow, with its positive traits can help us to focus, study and can be useful during exams or when we’re trying to learn something new or focus on our learning. If you know someone in this state perhaps buy them a bunch of flowers in an array of yellows! Go Crazy For Canary Or Make Like A Lemon! Yellow can be a truly tricky shade to wear, although these Gemini’s make it look like a walk in the park! There will be a shade to suit your skin tone, whether it’s a subtle pale and interesting lemon or a warm sunny tone. Gemini fashion really should incorporate a little yellow sometime. If you’re not usually one to wear it, try it, you might like it! If you can’t bear buttercup then use spring and summertime as your testing ground. To really lead the way in the style stakes wear the best colours for your sign, not only the Sun but your Rising Sign, Moon Sign and of course, your Venus sign. Take it from the most stylish Mercury birds that yellow can be fashion fabulous. Gemini model Crystal Renn rocks the shade in true Star Sign Style! This shade is not all sunshine and happiness, as a colour that turns the brain on it can make a person feel agitated and restless, too. You’ll notice that in nature, as well as sunflowers and daisies, yellow is the colour of bees, wasps and some dangerous butterflies! It’s a highly visible colour that says ‘watch out world’ – I may look interesting and enticing but I’m lethal. 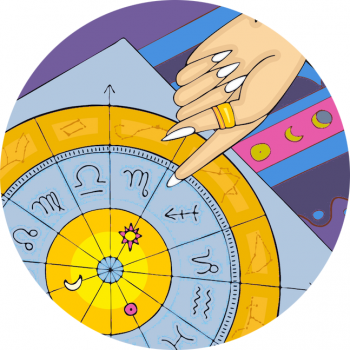 Yellow lacks emotion, so if you’ve got a lot of water in your chart you might not tolerate this shade so well – it could make you stressed, impatient – even nervous! Not a colour to wear if you’re looking after older people or those in need, but ideal if you’re in sales, PR or journalism, and want to send out vibrant signals to your fellow man! Advice for Gemini is to wow with your lucky shade – you’ll bring sunshine into others day and brighten up their lives with your spark!